In the 18th century, two renowned Swiss artists traveled to Bohemia to gather inspiration for their landscape painting. They instantly fell in love with the rich, dense forests and dramatic gorges. Both found that, in many ways, it resembled their own native country. 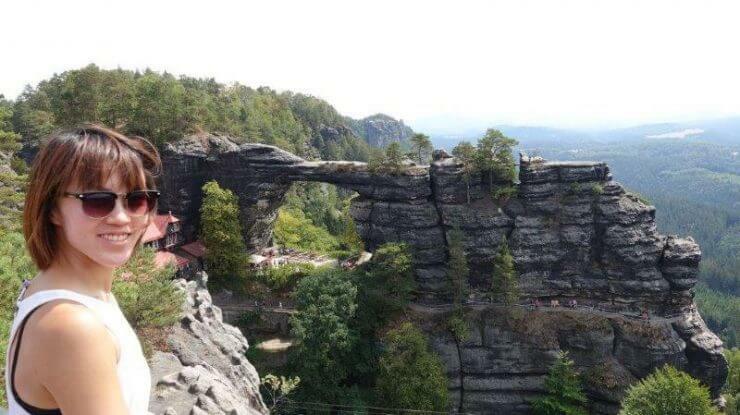 They christened the area ‘Bohemian Switzerland’. 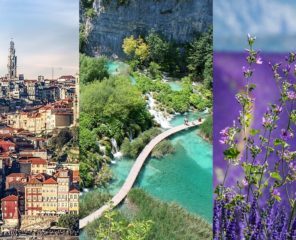 The name stuck, and today, this stunning corner of Central Europe draws adventure-seekers and nature-lovers, like adventure travel blogger Lydia from Lydiascapes Travel all the way from Singapore, in search for a little taste of the wild. 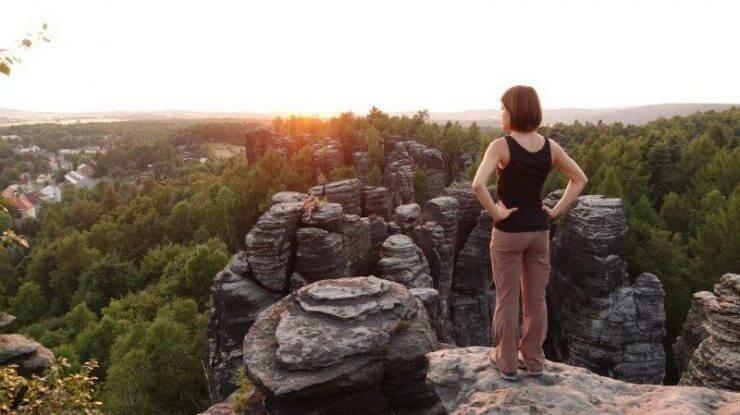 Her adventures here in Bohemian Switzerland started with experiencing breath-taking hiking trails that crisscrossed the Bohemian Switzerland National Park, witnessing blazing sunsets wherever she went. 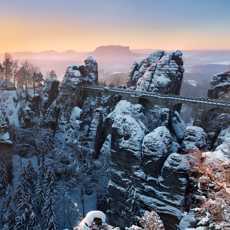 However, aside from its dramatic, craggy rocks, Bohemian Switzerland’s main feature is its gorgeous and profuse nature. 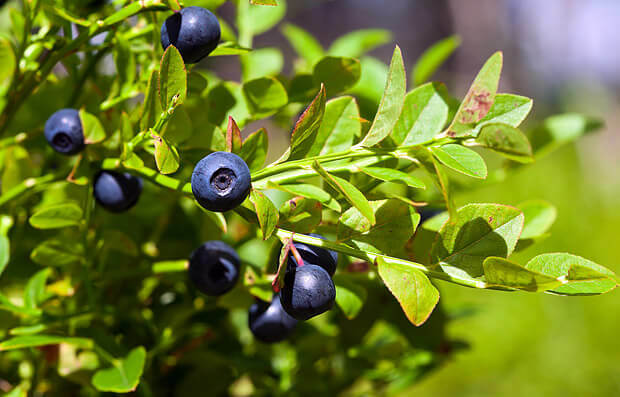 In summer, edible delights appear in the trees and the forest floor, as the national park erupts in a blaze of colour and fruit. And for a city girl like her, this is an awesome paradise. 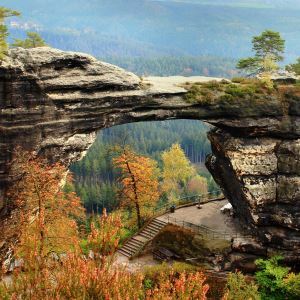 What makes Bohemian Switzerland so unique? The reason behind the region’s epic cliffs and gorges is its geological past. Long before humans trod paths through Bohemia, this entire area of the Czech Republic was once under water. Although the sea has long since dried up, it left an imprint. The soil here is filled with rich mineral deposits that nurture the abundant plant life. Another key legacy of this ancient sea is the sandstone rock that has made the region so famous. 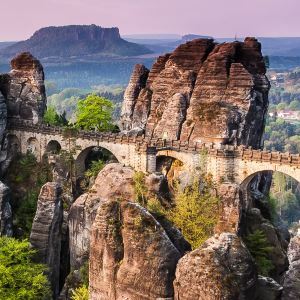 As the rivers and streams snaked their way across Bohemian Switzerland, the soft sandstone rock eroded away. This left spectacular gorges, strange rock formations, deep valleys and tall cliffs. The erosion of sandstone rocks in Bohemian Switzerland has produced some gravity-defying natural spectacles. Perhaps the most impressive, and the symbol of the park, is the Pravcicka Gate. This is the largest sandstone arch in Europe and its immense proportions will take your breath away. At 21m tall and 27m wide, the Pravicka Gate is a real geological miracle, and well worth a visit even in the hot of day. The Pravcicka Gate is the best-known site in the park, but it is certainly not the only geological treasure. The Hrensko Gorges, a series of deep crevasses that cut through the forest, are simply stunning. They are covered in shining green moss and unusual climbing plants. The so-called ‘Gabriela’s Trail’ is another good way to observe ethereal rock formations on the way to the Pravcicka Gate. Perhaps the most impressive spectacle in the forest is the series of sandstone pillars known as the Tisa Rocks. Stretching 30m high, these strange pillars have been besieged by the elements and eroded into strange and unusual shapes. These weird and wonderful rocks are beautiful in all seasons, either when they are bathed in summer forest light, or covered in a thick layer of snow. It is rumoured that Hans Christian Anderson used this region for the inspiration for his fairy tale The Snow Queen. 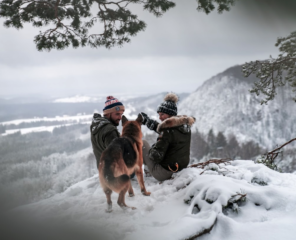 It’s easy to see why when you imagine the thick pine forests hushed and covered in snow. The film The Lion, The Witch And The Wardrobe was also filmed here, chosen for the magical atmosphere of the forest. 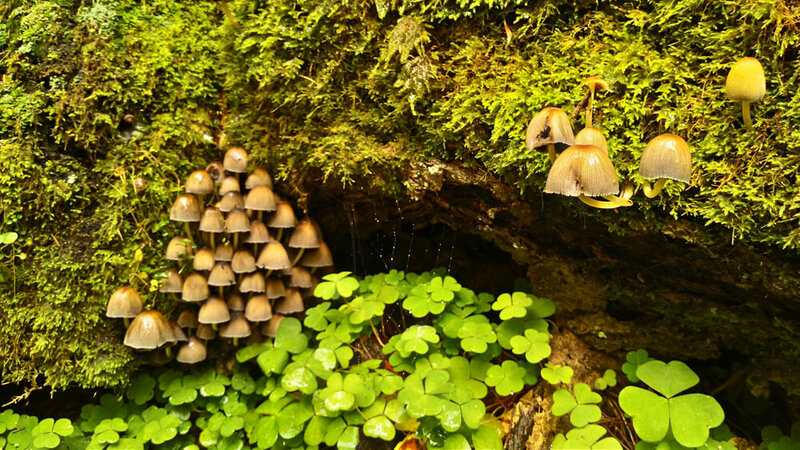 Bohemian Switzerland is fertile and profuse, producing a wide variety of flowers, plants and fruiting trees. In part, this is due to the rivers and streams that snake through the forest. They water the earth and create prime conditions for plant life. These life-giving arteries feed the soil, producing a wealth of greenery that never fails to dazzle visitors to the forest. 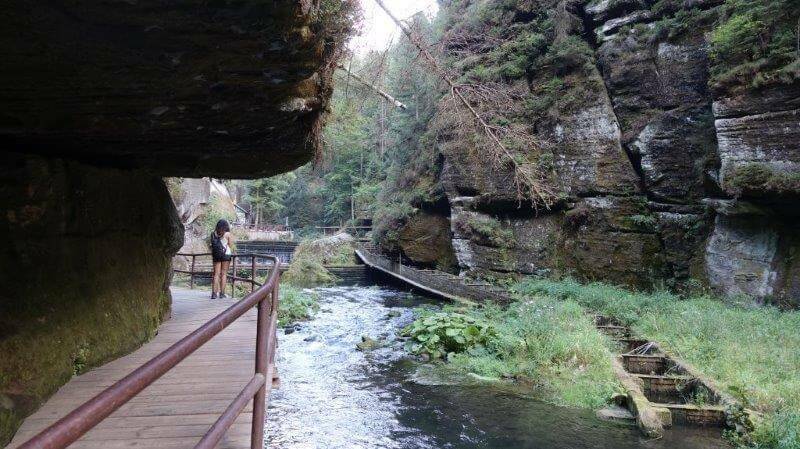 See, for example, the beautiful Kamenice River, which cuts deep gorges through the rock and creates stunning forest vistas. Luscious climbing plants cling to the rocks lining these stunning gorges, clothing the sandstone in green. 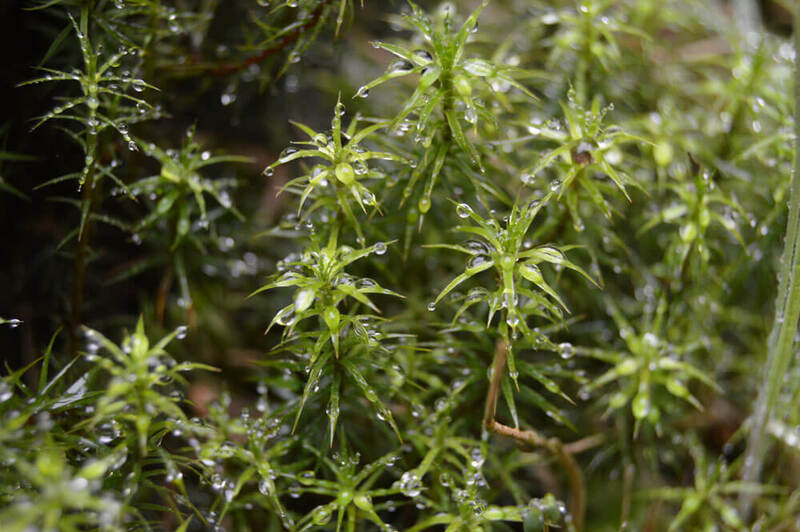 The forest is also known for the wide variety of mosses that cover the rocks, creating shimmering, luminous scenes. Don’t miss those on the wide banks on the way to the Dolsky Mill. Green is not the only colour you can find in this forest. In the right season, even a short walk through the national park will bring you into contact with a whole variety of beautiful plants and flowers. 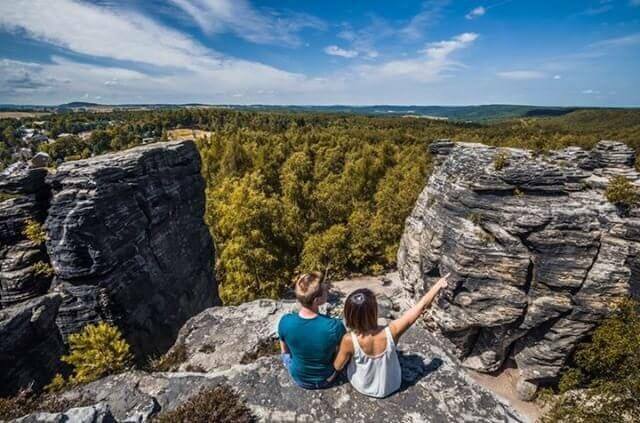 Bohemian Switzerland has a unique microclimate, as pools of low temperatures exist in the canyons and ravines, unusual in the warm summer months in Central Europe. Plants grow here that are only usually found at higher altitudes, including the extremely rare geminiflorous violets. You can also find sunflowers, roses, orchids, and all types of rare wild flowers. If there is one thing about Lydia you didn’t know, her favourite food is mushrooms. So this was one pastime she would really enjoy if she were to live here in Bohemia Switzerland. 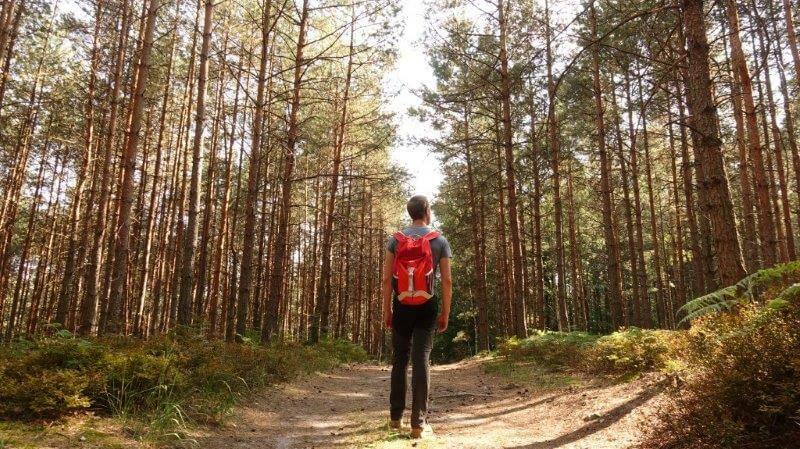 Hunting for mushrooms is something of a national obsession in the Czech Republic, and every year when the season comes around, city-dwellers head for the countryside, armed with panniers. The thick, dense forests of Bohemia provide the perfect conditions for mushrooms to grow, and Bohemian Switzerland is brimming with unusual, tasty varieties. The most popular varieties are the so-called gypsy mushrooms, and which have a spicy flavour with notes of cinnamon and are usually added to garlicky soups. Another favourite is the porcini mushroom, which is perfect in risotto. Bohemian Switzerland is also famous for its morels, a tasty variety with powerful antioxidant properties. Be careful! 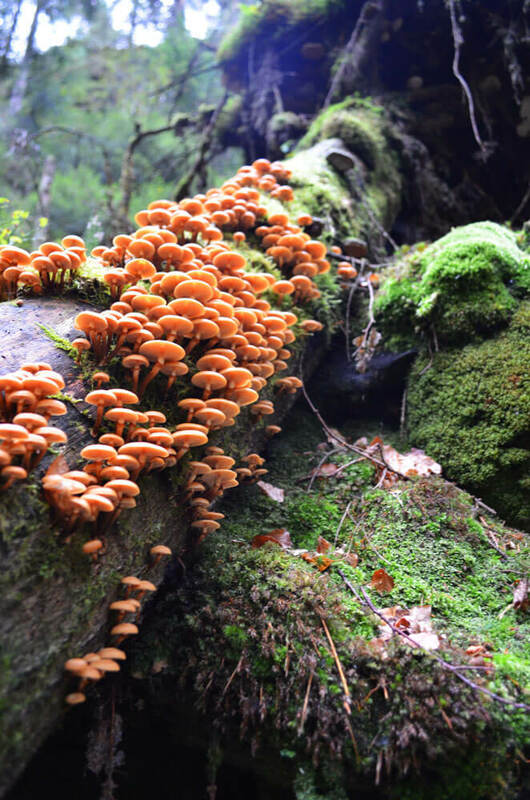 The range of different types in this lush forest means that it’s very easy to mistake poisonous mushrooms for delicious ones. Always go with someone who knows what they are doing – this is a good way to get to know the locals. Czech people love mushrooms so much they are always keen to chat with total strangers about their favourite types! The forest floor yields a rare bounty, but if you raise your eyes a little, you’re likely to find even more feasts for your eyes a little higher in the trees. This region bears fruit and berries in abundance and is home to many rare species. In among the common varieties of apples, pears, plums, and grapes, stay alert and you may see wild pears. In September the forest erupts in a riot of berries, with blackberries and raspberries extremely common (just watch out for the poisonous lookalikes!). One of the best ways to see the drama and beauty of this wild place is from the river itself. Beginning at Decin, with beautiful views of Decin castle, the River Elbe is wide, slow-moving and calm, making it a great spot for canoeing and paddle-boarding. 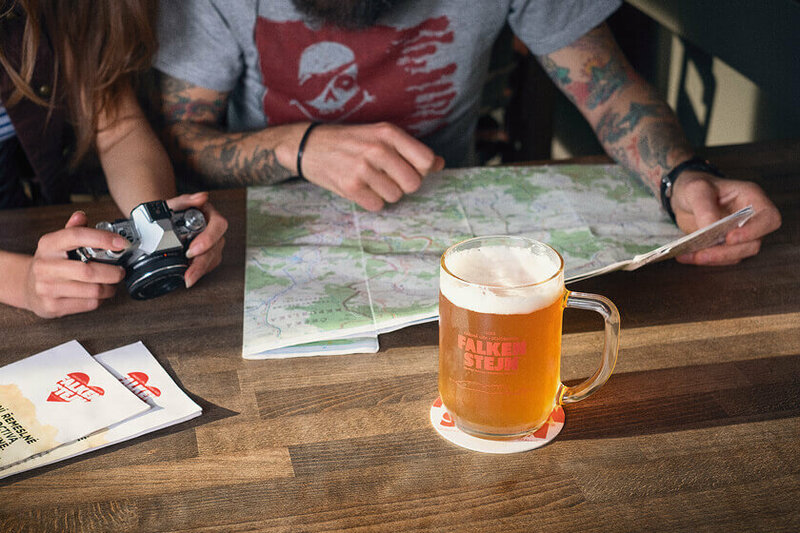 If all this outdoor activity has worked up a thirst, head to Falkenstein Brewery for an excellent tour of their beer-making activities. 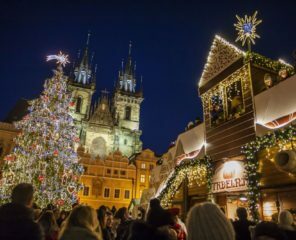 Beer-brewing (or beer-drinking) is another national pastime in the Czech Republic, and it wouldn’t feel right to leave without sampling some of this fine local produce! 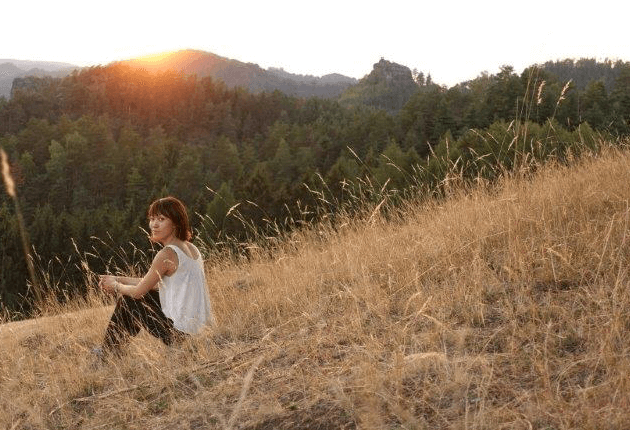 Are you a nature and outdoor lover like Lydia? 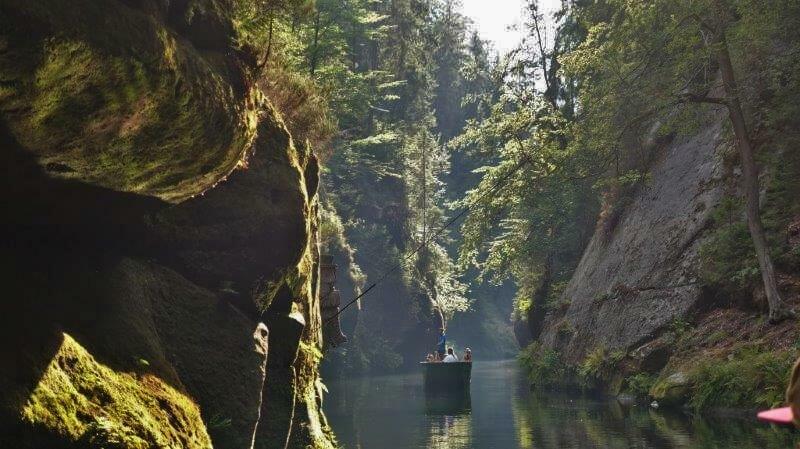 Then escape to this wonderland in Bohemian Switzerland. What are your favourite wild places you call your own?